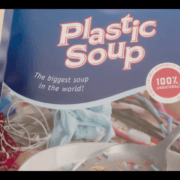 News, What is plastic soup? Amsterdam, 12 December 2017 – Plastic bags gradually disintegrate in the marine environment as the result of the effects of sunlight, oxygen and waves. However, it was unknown whether marine organisms accelerate the process by ingesting and secreting plastic. Now it turns out that gammarids (Orchestia gammarellus) appear to do so. Laboratory research in Great Britain has shown that this amphipod shreds a plastic bag into endless numbers of microscopic pieces with an average diameter of 488,59 µm. Although this happens with all types of plastic, the fragmentation process is four times faster when the plastic has accumulated a biofilm. 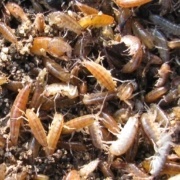 A gammarid produces over 8 fragments a day. Research on the shoreline confirms the presence of such fragments in and around this creature’s excrement. A study into gammarids, which inhabit the shores of northern and western Europe, was carried out by the University of Plymouth and published in the Marine Pollution Bulletin. Head of the University’s International Marine Litter Research Unit, Professor Richard Thompson says, ‘An estimated 120 million tonnes of single-use plastic items – such as carrier bags – are produced each year. 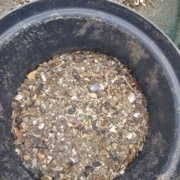 This research shows species might also be contributing to the spread of such debris.’ See the university’s press release. Research had already shown that the northern fulmar grinds plastic in its stomach and secretes it as tiny microplastics. This means there are more species which accelerate the tempo in which plastic becomes fragmented into miniscule pieces. Amsterdam, 2 December 2017 – British researchers have developed a cost-effective method of detecting and counting microplastics in water. They add a fluorescent dye that binds to plastic particles, making them easy to see with a microscope. The method clearly shows that there is much more microplastics in the top layer of sea water than previously thought. The research is published in Environmental Science & Technology. 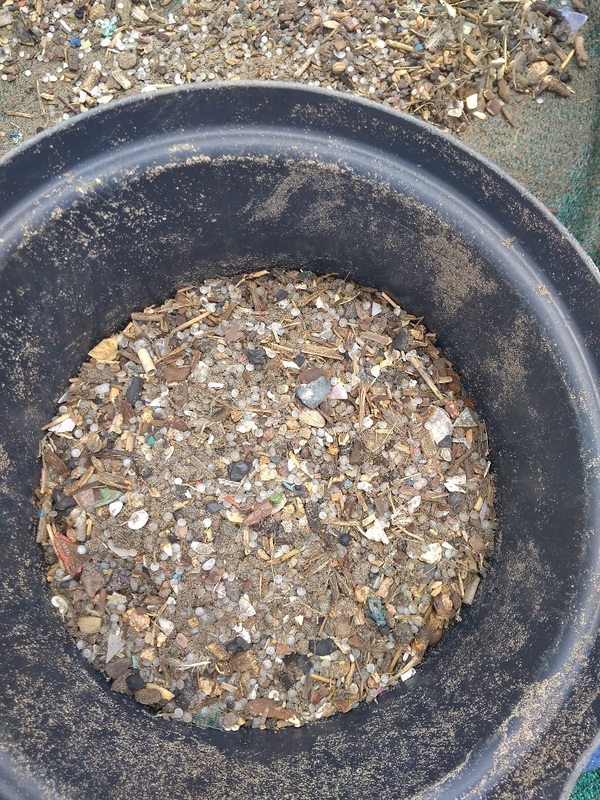 It has been known for a while that there is more microplastics (< 5 mm) in the top layer of water than larger pieces. The current measurement methods however, were unable to determine the proportion of microplastics smaller than 1 mm. 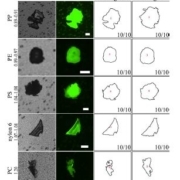 The new method can do this, and the results show that it is precisely the smallest plastics (20 to 1000 μm) that form the largest proportion of plastics in the sea. It has already been argued that much less plastic is found in sea than that enters the sea. The question is where all that plastic is, and up to now there has not been a satisfactory answer. The researchers say that their method helps explain that much of the ‘lost’ plastic has become so small that the measurement methods used to date simply overlooked them. Plastics in the environment degrade into ever smaller pieces. As the pieces become smaller, the number of pieces increases exponentially. That proportionately there are many more tiny plastic particles in water is confirmed by this method. The researchers also point out that the smaller the plastic particles, the higher the number of organisms that ingest them. The method detects lightweight plastics (polypropylene, polyethylene, polystyrene and nylon-6) best. These plastics are mostly used for packaging that is thrown away after use and nylon-6 comes from machine washed synthetic clothing. 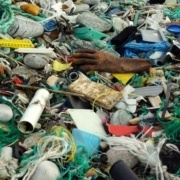 My little plastic footprint, News, What is plastic soup? Alicante, 18 October 2017 – Our long awaited app, My Little Plastic Footprint, had its soft launch this morning. 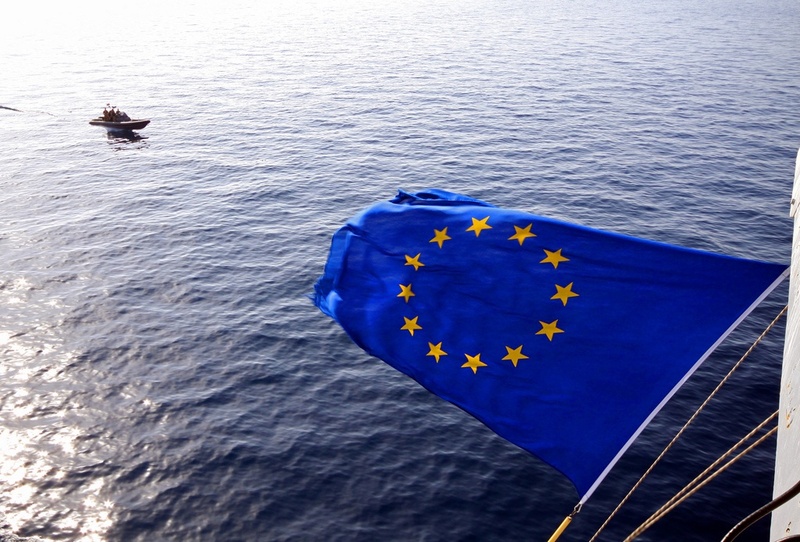 The launch took place during the very first Ocean Summit of the 13th Volvo Ocean Race which starts in Alicante, Spain. This app allows people anywhere in the world to reduce their plastic footprint and learn more about the plastic soup in the oceans. The plastic soup is growing and everybody contributes to it – citizens, companies and governments. Of all the plastic that we use, we throw 40% away within twenty minutes. Of this, 3% ultimately ends up in the water. This can change. It has to change! I will not accept any plastic bags in shops anymore. The app starts with 60 pledges. The number will grow over time. The smaller your plastic footprint becomes, the bigger your chance to be nominated as Ocean Champion. In the third part of the app, you can be inspired by Ocean Heroes, celebrities who take action against plastic pollution. 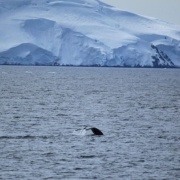 See the Ocean Heroes by downloading the app or by going to mylittleplasticfootprint.org. We would like to ask you, our followers, to test this first version of the app. Help us reduce humanity’s plastic footprint. We have six weeks in which to remove any bugs and errors, and we can only do this with your help. Will you help us? The app is available at the App Store and via Google Play. For more information about the app, check out www.mylittleplasticfootprint.org. 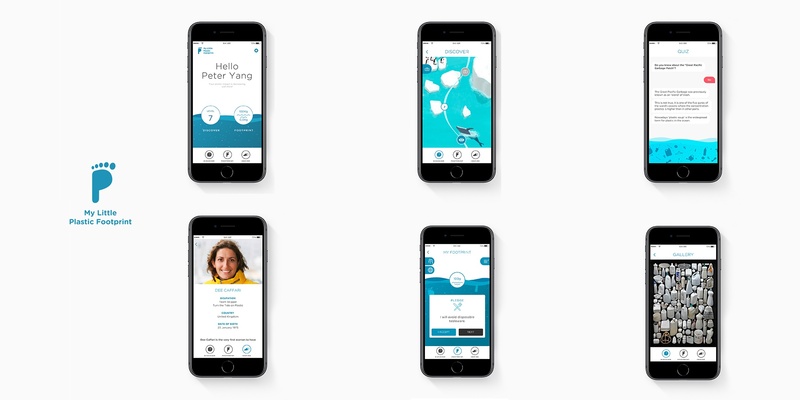 The app is built by: the Plastic Soup Foundation in the Netherlands, EA in Switzerland, Smäll in Barcelona and the Ocean Recovery Alliance in Hong Kong. 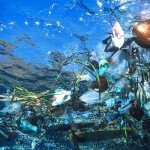 News, What is plastic soup?, What to do with plastic waste? 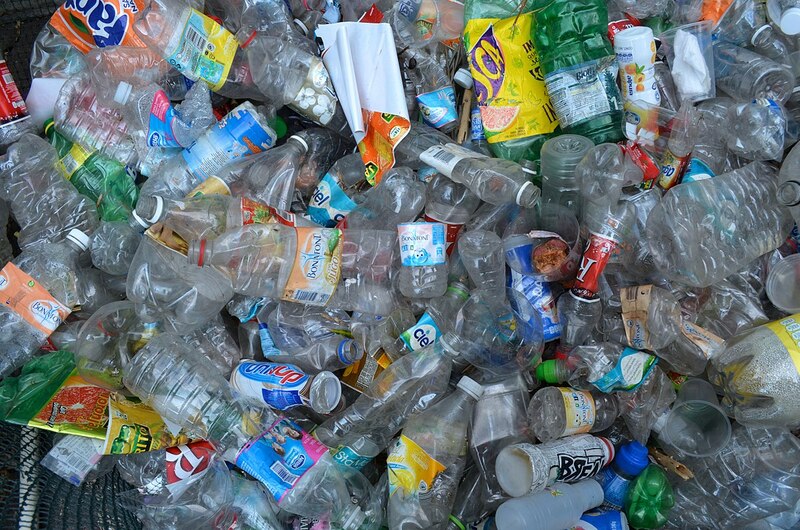 Up to now, mechanical methods for recycling PET bottles have only been able to be applied six times on the same plastic bottles before the quality of the material becomes too poor for it to be reused. Ioniqa, an Eindhoven University of Technology spin-off, has developed a technique making it possible to recycle PET and polyester clothing endlessly. Ioniqa has developed a process in which all kinds of colored plastic can be reduced to pure raw material or virgin quality plastic. During the process the polymers are broken down and impurities such as color are removed from the plastic, leaving behind a white powder which can be recycled endlessly. Another objective of this technique is to prevent plastic from entering the ocean. Many organisms, animals and plants alike, live on or in the sediment. Plastic bags that sink to the bottom of the water can close of a part of the sediment. It was already known that microorganisms that get trapped under a plastic bag die because of a lack of oxygen, light and food. 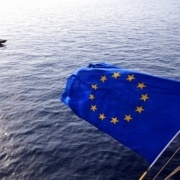 Italian scientists have now studied the effects that biodegradable plastic bags have on the sediments of the Mediterranean Sea. Bags made from natural materials are increasing as an alternative for plastic bags made from oil. It turnes out however, that the biodegradable bags barely break down: they weighed 85% of their original weight. 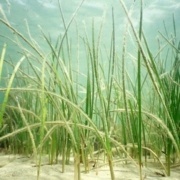 If they sink to the bottom, they end up on big fields of seagrass, which is an important part of the marine ecosystem. Because of a lack of oxygen, the balance between the grass and animal species started to shift. This can have severe consequences fot the ecosystem. The researchers even fear that these important seagrass habitats will be severely threatened because of this. Click here to read more about how plastic soup threatens animals.